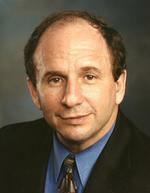 Paul David Wellstone was the son of Jewish immigrants from Russia, born in 1944 and raised in Arlington, Virginia. His mother was a cafeteria worker and his father was a writer and federal employee. His father left Russia shortly before the Bolshevik Revolution took the lives of Paul's grandparents. Leon and Minnie instilled in their son a commitment to justice and civic activism. At an early age, Wellstone displayed the intensity and passion that would come to define his career. A head shorter than most of the other kids, he channeled his energies into the sport of wrestling and into his studies. By the end of high school, he had become a star wrestler, accomplished cross-country runner, and top student. He had also fallen in love. At sixteen, Paul met Sheila Ison at a beach on the Maryland shore. They dated during their final year of high school and went on to attend different colleges. He was accepted to the University of North Carolina, where he joined the wrestling team, and she enrolled at the University of Kentucky. But by the end of their first year of college, they no longer wanted to live apart. 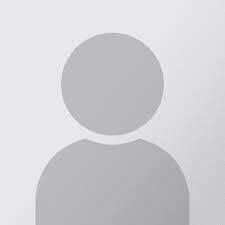 They were married in summer of 1963, and Sheila moved to North Carolina. That fall, Paul and Sheila Wellstone settled into a 39-year marriage. Paul took on a rigorous schedule of academics and athletics. In his second and final wrestling season, he went undefeated for the second year in a row, and won the Atlantic Coast Conference (ACC) championship. The following year, he graduated from North Carolina (after only three years), and Sheila gave birth to the first of their three children. Paul had become a champion wrestler, husband, father, and college graduate. He was twenty years old. Wellstone went on to complete his PhD in political science from North Carolina and, at age 24, accepted a teaching position at Carleton College in Northfield, Minnesota. As a professor, Wellstone focused on questions of economic justice and poverty, and began engaging in local community organizing projects in rural areas. "It was clear," wrote one of his friends and former colleagues, "that he was less concerned about academic political science than about political science directly serving people's needs." Throughout his career, Wellstone led various campaigns for causes he supported - on behalf of farmers, laborers, the rural poor, and the environment. In the process, he gained a reputation as a persuasive and powerful speaker who was not afraid to stand up for his beliefs. In time, he began to consider ways to contest for power by running for office. In 1982, Wellstone ran for state auditor, an office for which he was admittedly ill-suited, since he had little interest in state budgetary matters. Despite attracting media attention for his charisma and powerful speaking ability, he lost the race to his incumbent opponent by nine percentage points. Despite his unapologetic advocacy of a progressive agenda, Wellstone was popular with his colleagues. Engaging and funny, he was described by one journalist as "one of the capital's most beloved politicians." Recalling his disarming demeanor, one of his colleagues said, "It was impossible not to like Paul Wellstone," and even the Senate's most fervent conservatives, Senator Jesse Helms, called Wellstone a friend. In 2002, Wellstone sought a third term to the Senate, and was targeted by the White House's political operation as a top target for defeat. Despite taking a politically unpopular vote against the impending war in Iraq, polls showed him with a solid lead going into the final two weeks of the campaign. Then on October 25, 2002, Paul and Sheila, their daughter Marcia and three campaign staffers - Tom Lapic, Will McLaughlin, and Mary McEvoy - were traveling to campaign events in northern Minnesota when their plane crashed near the Eveleth airport. There were no survivors. Paul and Sheila Wellstone are survived by their two sons, Mark and David.